PowerPoint… At this point the mere mention of the name PowerPoint evokes thoughts of boredom and sleep. ​ Man, PowerPoint is slowly becoming like the Fax machine. No one understands why we still have it, but somehow we can’t get rid of it. ​ ​ ​ If you are in the presentation scene, chances are that you have watched “Death By PowerPoint”, the hilarious PowerPoint stand-up comedy act (below). Why is Microsoft PowerPoint so popular? Why has an alternative presentation software taken so long to gain popularity? ​ The answer is that PowerPoint used to be the most simple presentation software. ​ No longer. Years of catering to every computer maker on every version of windows, every industry and every profession have left it overloaded with features, buttons and options. 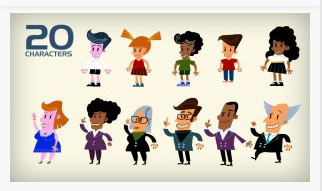 ​ Just try creating an animated presentation. The learning curve is hideous. ​ ​ Presentation design is clunky, templates are boring and the presentation template market is expensive. Presentation Design: Refreshing look and feel. Presentation animation: Possible but very hard to achieve. Presentation Design Alternative: Not there yet. The first software to break the Slide-show boredom was Prezi. ​ Prezi went all out and decided to eliminate slides altogether. ​ From now on there would be only one canvas with content strategically scattered across it. ​ Instead of moving the slides Prezi moves the camera (or screen). In 2001-2012 Prezi took off as the leading PowerPoint alternative. ​ At the same time the search term “Prezi alternative” started trending on google search after many people who have watched the presentations complained of dizziness. User interface: Simple, but it’s really hard to create a good looking presentation. 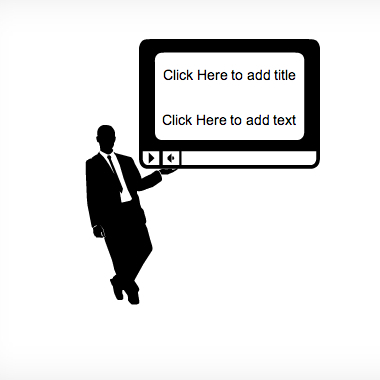 Presentation templates: Prezi offers many templates, but here one really wants to create. one’s own and it’s not easy. Viewers Experience: Usually positive, some viewers complain of vertigo. In 2012 Powtoon was launched with the purpose of making the option of animation simple and cheap for everyone. ​ The site quickly gained popularity and is now the most popular choice for making animated videos. ​ Presentations have always been on Powtoon’s radar and even though Powtoon did not actively promote its presentation features, the tool is not commonly quoted online as “the new Prezi” and “the Prezi alternative”. Powtoon takes a different approach than Prezi. ​ Prezi keeps the canvas and items fixed and moves the camera. 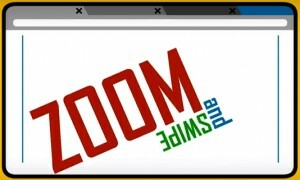 ​ Powtoon Keeps the camera steady but instead of moving the canvas, it moves the characters and props. Powtoon is pushing hard into becoming an animated presentations maker, with new content libraries and now also working on dramatically enhancing the presentation mode. ​ A unique feature Powtoon offers is the ability to easily share your animation work between presentations and animated videos. Pricing: Powtoon for Presentations is free. Presentation Design: Fun look and feel. Presentation Templates: ​ A growing variety. User Interface: Working on a new simplified interface for presentation mode. Presentation Sharing: working on cross platform delivery. While Powtoon is not Perfect, We are proud of how quickly it has been adopted as a PowerPoint alternative, and now as the Prezi alternative. ​ Give it a try!